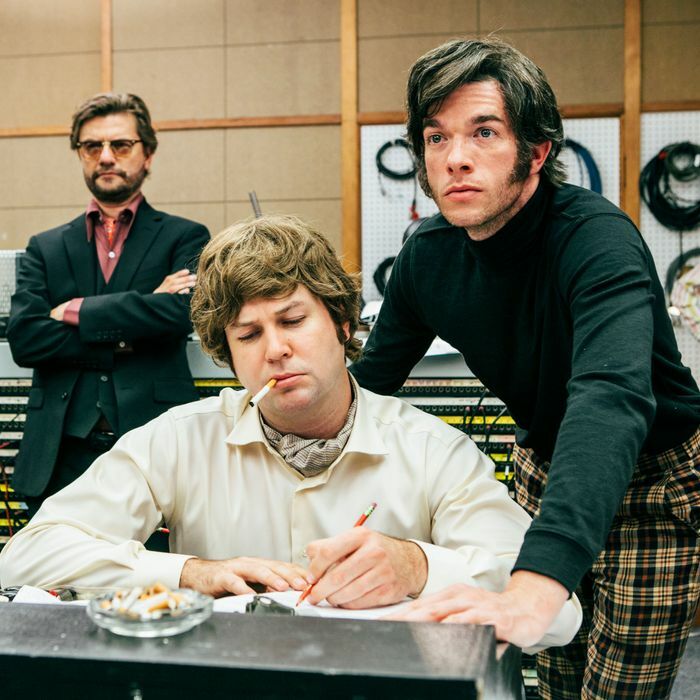 The Ingeniously Nerdy Filmmaking Secrets of Documentary Now! Documentary Now!, which concluded its third season on IFC this week, is a parody so absurdly specific that it turns into a fetish object. Created by Fred Armisen, Bill Hader, Seth Meyers, and Rhys Thomas, the series takes Christopher Guest–style mockumentary to the next level, spoofing particular eras and styles in nonfiction filmmaking in a way that captures hyperspecific details of camerawork, lighting, sound, and editing. The show’s aesthetic is overseen by Thomas, a producer-director, and Alex Buono, a cinematographer and director. Both came to Documentary Now! via Saturday Night Live, where they directed shorts, music videos, and commercial parodies. We spoke to them in detail about every episode of season three, as well as the show’s overall production process. How do you decide what you’re going to tackle next? And then how do you set about making it look credible to a documentary nerd? Rhys Thomas: It’s a combo of story and style. We come into the room at the top of each season with a list of documentaries, and we start passing around ideas to see if we can find a fun story that feels like it could be part of our universe. We also want to make sure that we’re not repeating ourselves in any of the episodes. Is the show shot entirely digitally? Alex Buono: We don’t use film. We use a lot of different camera formats, but none of them are film. But we try to make it look like film if we’re parodying something that was shot on film. Thomas: We absolutely would shoot film if we could, but it’s a small show. Over the years, we got to the point where we were good at simulating film grain. The breakthrough was when we met up with a chap named Suny Behar, a cinematographer and director who has a system called LiveGrain, which enabled us to apply very realistic film grain based on very specific film stocks. Buono: We started off knowing we wanted to do a cult documentary back in December of last year. In January, Wild, Wild Country came out at Sundance and blew up on Netflix, and everyone was talking about it and it kind of overtook our narrative. The biggest challenge of “Batsh*t Valley” was the sheer scale of it. This one was such a sprawling story, because you’re telling stories along different timelines, all of them set in different locations, and it’s a two-parter. We were allotted like seven days, but we needed more time than that, just to get around to all of the different locations and complete the pieces we needed to make the whole thing work. We looked at the scope of our season and we realized that “Co-Op” was an episode that we could shoot in, like, two days. So we stole a day from that one and gave it to “Batsh*t Valley.” There might have been one other episode that we stole a day from as well, so that “Batsh*t” could have more shooting time. Were both of you on set for the episodes where the other one is credited as director? Thomas: No. For season one and two, we were together on each episode. But this season, I got held over working on a pilot. Alex actually did five of the seven episodes, if you count [“Batsh*t Valley”] as a two-parter, by himself, with me at a distance on the phone and email. It was Alex who carried the burden of the season for sure. Buono: In all fairness to Rhys, the shooting of this show is not like a lightning flash of activity. We spend months and months and months in post-production, re-creating the footage or re-creating the still photographs, figuring out how to encapsulate the style of the piece. After the actual shooting of a season, the two of us are in an editing room for, like, the whole summer, working with an incredibly talented post-production team that really creates the world of the show. “The world of the show” is an important phrase in this conversation, so would you zero in on a particular technical aspect that will help readers understand what you mean by that? Buono: Wild Wild Country is a series that makes remarkable use of all this archival material from the 1980s. We wanted it to look like it actually came from that era. We wanted to re-create the look of something that had been recorded 30 or 40 years ago and has been sitting on a shelf since then and that’s been dubbed over and dubbed over again. How do you do that? What are the steps? Buono: We started with an old standard-definition video camera. One of the hardest questions we face when we’re making the show is, How do we get the equipment to help us actually re-create this style of documentary? We end up buying old gear off of eBay, or calling up rental houses and asking them to dust off their archival gear. You shoot everything with the old gear, and then try to find old lights that emulate the lighting that was being used back then. It’s very fun, but it’s also detective work. The challenge is reengineering what the circumstances were in the original documentary. Sometimes it means going to a thrift shop, buying old VHS videotapes, and then taping over whatever was on there when you found them. This is incredible. You’re beyond obsessive with this. This is Ahab level. Thomas: Oh, no! We had a pretty fun time learning how to do this [on SNL]. We might decide to do a 1980s VHS thing, and then we’d realize, “Oh, the next time we do this, we need to leave ourselves more time so that we can shoot it on the actual equipment and nail the look.” If you don’t do that, it’s never going to look quite right. So on this show, we shoot things and redub things. Sometimes we’ll have something go through several generations [of reproduction] so that the image is degraded. Are you telling me you’ve got somebody over at the post-production house who’s actually sitting there with two VHS decks, copying and recopying and recopying a tape like they’re a college kid pirating Blockbuster movies in 1988? Thomas: That’s totally what it’s like. We have a really intrepid team of post-production people — their average age is like 28, and their enthusiasm for diving deep on this stuff matches ours. A huge part of setting the period convincingly is the little touches like the onscreen graphics, the fonts, the bleed in newspapers and the magazines, and our team is really amazing at getting all that right. When you make a magazine cover or the front page of a newspaper, is that created digitally, or do you actually make a prop and then shoot it? Thomas: The publications themselves are mostly digitally created, but then we composite [the layout] onto photographs of actual old magazines and add creases and things. Buono: We have actually fabricated props when we’re showing newspapers onscreen, because with newspapers, it’s hard to get the ink bleed just right when you’re doing it [digitally]. So, we might have somebody go and buy the right paper stock for that kind of newspaper, then print out [the graphics] on the newsprint. Thomas: Newspaper print is incredibly hard to replicate digitally in a realistic way. It always looks fake. Another thing that’s hard is chyrons, like all those news anchor names onscreen in the old videos. Getting the appropriate level of bleeding and smearing is hard to do digitally, and the best way to do it is the old-fashioned analog way, where you actually sit there and dub it three times. I love movies where filmmakers deliberately use obsolete technology to try to put you in the headspace of an earlier decade. I don’t know if you guys ever saw this movie called No, by Pablo Larrain? 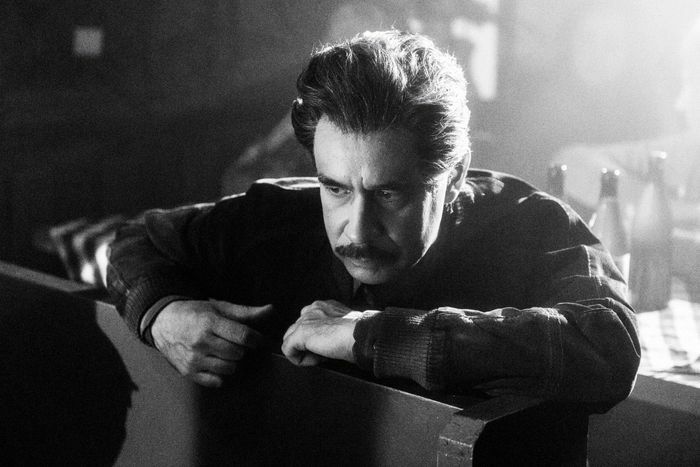 It’s set in the mid-’80s, and the director actually shot all the scenes involving actors with the same news cameras that were used at local stations in Chile in the ’80s, so that he could seamlessly integrate the dramatic parts with TV news footage from the period. Thomas: That’s fantastic. I know it sounds crazy to do something like that, but honestly, in the end, you will drive yourself insane trying to shoot period stuff with a modern camera. Speaking of getting the period look just right, let’s move on to “Co-Op.” It’s based on Original Cast Album: Company, a 1970 D.A. Pennebaker film done in a specific style known as Direct Cinema. You have worked in that mode before, and you’ve done parodies of a couple of its most important practitioners: You did the Maysles Brothers and Salesman in “Globesman,” and you did a spoof of Grey Gardens in “Sandy Passage.” You also parodied Pennebaker and his filmmaking partner and wife Chris Hegedus in “The Bunker,” which is modeled on their movie The War Room. 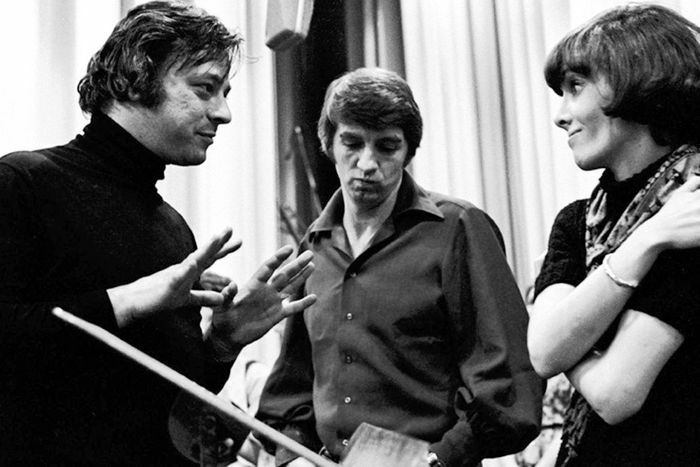 And here, you’re doing Pennebaker only. How did you get the camera style to look like Pennebaker circa 1970 and not the Maysles Brothers circa 1975 or Pennebaker-Hegedus circa 1993? Buono: We actually spoke to D.A. Pennebaker, Chris Hegedus, and his son Frazer Pennebaker. They’re all friends of the show. They come to our premieres and they’re all very helpful. What have they helped you with? Buono: Here’s one example. When we were doing our version of The War Room, we were stuck trying to figure out how to [simulate] the film grain just right, and I emailed the Pennebakers and said, “Hey, do you remember what kind of film stock you shot on?” Within five minutes, they sent me back a scan of the original Kodak invoice for the film stock they used to shoot The War Room. We also spoke with Albert Maysles right before he passed away — we were shooting “Sandy Passage” and we talked to him about how he used to shoot. And obviously, the Maysles Brothers and D.A. Pennebaker and Ricky Leacock were all coming up together at the same time, and they all shot together on films like Candidate and Primary. While I would never presume to speak with authority on what their different styles were, I can say that we did what we could, through speaking with them and studying their work, to imitate them. How do you imitate the camera style of Albert Maysles? 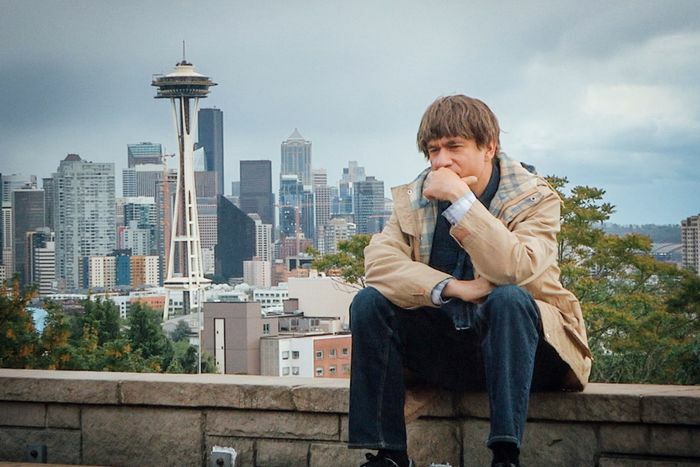 Buono: The Maysles didn’t do as much zooming or panning around until they found the shot, whereas Pennebaker, in my observation, did that a lot more. He liked the energy of that “panning to find the shot” thing. Thomas: This difference is ultimately a question of, How much they try to conceal their presence? I always felt that the Maysles were more about trying to conceal the presence of the filmmaker, while with D.A., you can feel his presence a bit more. Buono: We try to observe and replicate and differentiate when we’re imitating people’s styles, so that it doesn’t all just feel like this generic sort of ’70s vérité. I would be remiss if I didn’t ask you about the sound recording in that “Co-Op” episode. 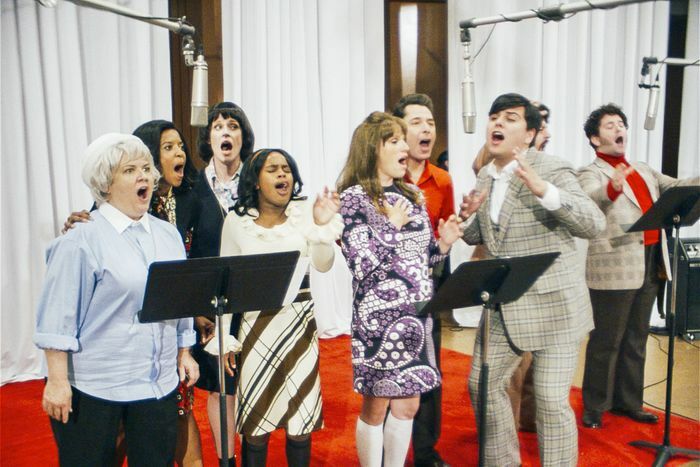 Were they singing live in all of those takes, or were there moments when they were lip-syncing? The hardest part was that we wanted a serious sound booth. Those kinds of places exist in New York and L.A., where they were installed and built for people like Frank Sinatra. They don’t exist in Portland. We were shooting at a community college and we just dressed this rehearsal room to make it look like the studio where the actors and musicians would be. But we had to go to another location entirely to film all the stuff in the booth. Buono: That episode is another example of our dumb naïveté. It seems crazy. But frequently, we just get lucky and things fall into place when they shouldn’t have. That’s definitely what happened here. We shot it in Hungary. We knew that we weren’t gonna have Bill Hader involved in the season, and that coincided with realizing that we needed to open up the casting to more central, stronger female roles. And then, of course, we landed Cate Blanchett out of the blue, which filled out the role and helped define the [episode] even more for the staff. When you’re shooting a fake documentary, does it ultimately feel any different than shooting fiction? Thomas: The style is documentary, but ultimately you do have to figure out the histories of these characters in a deep way. It even goes beyond a lot of fiction filmmaking, because you have create all this archival evidence of the history of your fictional character, so that you can ground the episode in their personal reality. Buono: But anytime you put a camera in a room with a real subject, they’re not themselves anymore. They’re who they want to be on-camera. You the filmmaker are working with your editors, and it’s all an interpretation of the truth. You’re trying to encapsulate somebody’s life in a way that people recognize as a story, which is artificial. Sometimes you’re even trying to replicate the three-act structure of a screenplay, which is a very artificial way of telling a story. Sometimes you’re trying to shape things so that they head towards an end point, because not every documentary can end with somebody’s death. So, given that all these things we’re talking about are false, it’s funny to me that we’re starting from a very artificial place, but we’re reverse-engineering realism into it. Honestly, having a real documentary serving as our source material is incredibly helpful and freeing. Like how we were able to take The Artist Is Present, which told the story of Marina Abramovic and her longtime lover, and create a bizarro, alternate-universe version of it. One where an accomplished and very serious woman artist gets to triumph over a lazy, manipulative man who brought her so much grief. The plot feels almost like one of those long cons that you’d see in a movie like The Sting. Buono: Yeah, it was an amalgamation. We were trying to figure out some other way that the relationship in The Artist Is Present could go, and we came across the documentary called Maurizio Cattelan: Be Right Back, about a guy who’s a kind of trickster of the art world. That informed our sense of what the relationship between our two main characters would be. And then, Seth [Meyers] came up with the fun ending. “Searching for Mr. Larson” is a send-up of an entire school of documentary, what I guess you could call the “Looking for X” movie. It’s a little bit like the one on the Calvin and Hobbes cartoonist, right? Thomas: Dear Mr. Watterson, yeah. That was the closest equivalent, but there are a lot of documentaries like that. Thanks to Netflix, there are even more of these movies that are supposedly about the filmmaker’s personal hero, but they’re really about the filmmaker’s relationship to their hero, which means it’s ultimately about them. Let’s move on to another Fred Armisen tour de force, “Long Gone.” Obviously, Bruce Weber’s documentary Let’s Get Lost is the main touchstone. You’ve even got a version of the scene where Chet Baker is riding in a convertible with two women. Buono: That character came first, and then we layered on this other idea of the filmmaker manipulating the subject. When the musician himself starts critiquing the very documentary that you’re watching, you add yet a third layer, because his complaints are nearly identical to Pauline Kael’s complaints about Let’s Get Lost. Buono: Yes, but remember it’s also Chet Baker himself who critiques Let’s Get Lost. At the end of the movie, there’s this really remarkable moment between him and Bruce Weber where he gets into that. Let’s Get Lost captures Chet Baker and gives you a sense of who that guy was at that point in his life, but at the same time, it’s also a deeply troubling and manipulative documentary. Bruce Weber was taking somebody who was clearly strung out on heroin, feeding him methadone, and then putting him in a car full of women and throwing him into a recording studio and saying, “Hey, play something and I’ll have Chris Isaak show up and hang out. Also, look out, here comes Flea for no apparent reason!” A guy who’s in a desperate, drug-induced place in his life has been thrown into a Fellini circus, and then at the end, the filmmaker is basically saying to him, “Tell me what a great job I did. What do you think? Are you going to enjoy this? Did you have a good time?” It’s hard to use this documentary as inspiration without taking the opportunity to critique it. Most of Weber’s documentary was shot on 35mm black-and-white film, at a time when nobody was doing that anymore. How did you approximate the look? Buono: We always wanted to put Bill Hader and Fred Armisen into a sports documentary, but we couldn’t figure out what sport Bill Hader and Fred Armisen would be convincing at. We got halfway through the season and we couldn’t crack the script, and so we ended up opening to Tim Robinson and Zach Kanin, two writers who had both been at SNL. They brought us A League of Ordinary Gentlemen, which checked that sports documentary box for us. 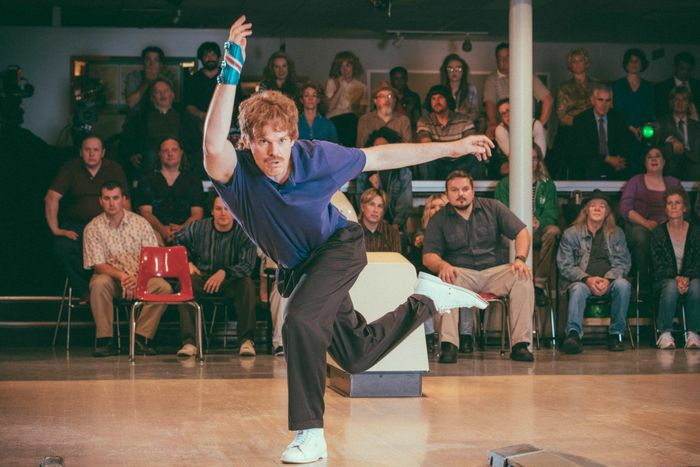 Thomas: Bowling is a sport that we can actually do. We couldn’t do basketball or football. Even if we had the super physical talent you need to sell the idea that these actors are professional athletes, re-creating an arena-scale team sport was logistically outside the realm of what we could do. I’ll end with a general question: Given the extreme artificiality of this series, which we’ve talked about in some detail, does that filter into the performances? Buono: I hope not. The approach that we tried to guide everyone into — especially when we bring actors in who haven’t been on the show — is to just play the truth and the reality of it. That’s what Bill and Fred are really remarkable at doing. Finding that genuine feeling, even though how we got there is absurd. We take the details to an obsessive place to create the reality of the story, but the details are also to help the actors believe that they’re in that world, too. We’re never concerned about whether something is funny when we’re shooting it. In fact, a lot of the time we might be trying to get to a place where funny isn’t always poking its head through. Sometimes I worry that if a moment is too obviously funny, we’re walking away from the truth a little bit. 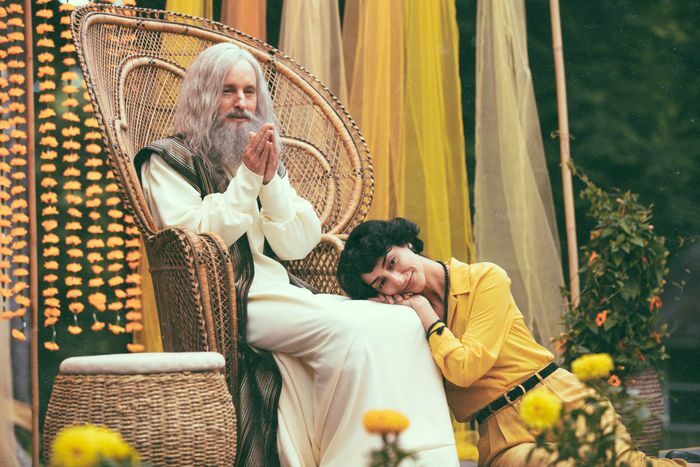 Get to Know the Films That Inspired Documentary Now!